David Coulthard is a household name. 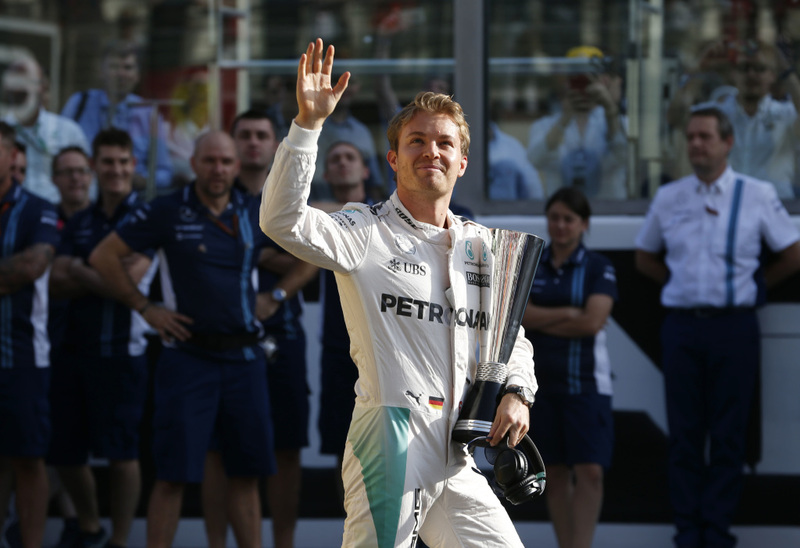 He’s known as a successful Formula One driver, a commentator and a Scotsman. In his career as a driver, he battled with (and sometimes beat) Michael Schumacher, Mike Hakkinen and Damon Hill, to name but a few. He won 13 Grands Prix, including races at some of motor racing’s great venues – Monaco, Silverstone and Spa, among others – and finished second to Schumacher in the 2001 World Championship. In this video, David Coulthard talks about his road to Formula One, his career as a driver with Williams, McLaren and Red Bull, and his new role as a commentator and F1 pundit. He’s frank, honest, and unafraid of criticising himself. This is well worth watching for any follower of Formula One. 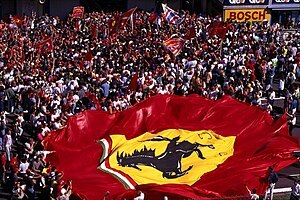 If you want to be loved by the Tifosi (Ferrari fans), you must win at Monza in a Ferrari. Schumacher did so at his first attempt, in the 1996 Italian Grand Prix. It was not a likely victory. Throughout the 1996 season, Ferrari had struggled with unreliability. In the 13 races preceding the Italian Grand Prix, Schumacher had retired six times, five due to failures on the car. The most embarrassing of the retirements came in France, where Schumacher’s Ferrari engine failed on the warm-up lap, before the race had even begun. Schumacher had won twice already in 1996. First in Spain in torrential rain, where he produced arguably one of the greatest drives in the history of Formula One. Then in Belgium, where tactics and a quick and unusually reliable Ferrari helped him to his second victory of the season. Schumacher qualified third for the Italian Grand Prix, as usual just behind the Williams pair of Damon Hill and Jacques Villeneuve. A poor start from Schumacher put him down to sixth place by the end of the first lap, and gave him plenty of work to do if he wanted to achieve a good result at Ferrari’s home race. David Coulthard, who was running fifth for McLaren, was soon out of Schumacher’s way and beached in the gravel trap at the Roggia chicane. Schumacher then set about attacking Jacques Villeneuve for fourth position. He swept by the Canadian’s Williams into the Ascari chicane and then chased after the leading trio of Hill, Alesi and Hakkinen. On lap 3, Hakkinen clipped a heap of tyres that had been placed on the apex of one of the chicanes to prevent drivers from cutting the corners (an astoundingly dangerous strategy by the stewards) and damaged his front wing, making him vulnerable to Schumacher who was closing quickly. Schumacher looked for a way past during the fourth lap, but could not get close enough to the McLaren in a straight line and had to wait until Hakkinen peeled off into the pits at the end of the lap for a front wing change. Now in third place after four laps, Schumacher chased after Alesi in second and Hill in the lead. Lap 6 saw the sudden and unexpected retirement of Damon Hill. 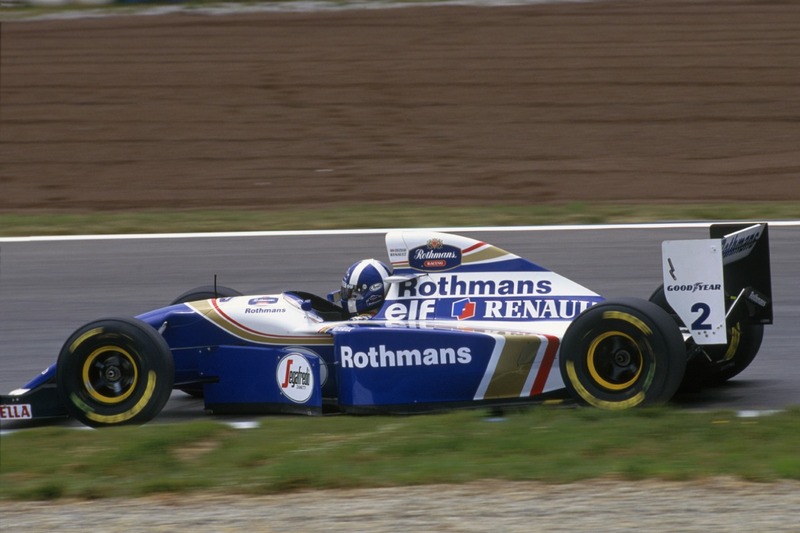 In a momentary lapse of concentration, Hill hit the tyres on the right-hand part of the second Retiffilo chicane, breaking the front suspension of his Williams and spinning him into retirement. Hill’s accident gifted the lead to Alesi and promoted Schumacher to second place. Within a few laps, Schumacher had inched his way up to the back of Jean Alesi‘s Benetton and was pressuring for the lead. But Alesi held his own well, keeping Schumacher behind until it was time for Alesi to peel off into the pits and take on a fresh set of tyres and fuel to last until the end of the race. Schumacher stayed out, taking over the lead at the end of the 31st lap to the delight of the Ferrari fans, and began to push, delivering the fastest lap of the race the next time round. On lap 33, Schumacher pitted for his one and only fuel and tyre stop. He had been pushing hard to make up ground on Alesi, and it paid off. Schumacher emerged from the pit lane well clear of Alesi’s Benetton, and the Italian crowd rose to their feet with joy at having a Ferrari out in front at Monza. From that point on, Schumacher had only to keep going to take his first Italian Grand Prix victory. He was comfortably faster than Alesi, even without pushing, which meant only a mistake or mechanical failure could come between him and victory. But the drama was not quite over yet. Several drivers had retired or had to pit for new front wings after clipping the tyres that were sitting at each apex of the chicanes. With just over 10 laps remaining in the race, Schumacher clipped the tyre stack with his left front tyre in the first Retiffilo chicane. Fortunately, there was no major damage, just a small vibration that disappeared as the race went on. But it was a close call for Schumacher, and he gave the tyres a wide berth for the rest of the race. Schumacher held on to win the race by 18 seconds from Jean Alesi, and set the fastest lap of the race with 3 laps to go. Mika Hakkinen finished third for McLaren. It was the first Ferrari win at Monza since Gerhard Berger won in 1988, and was the first of five wins for Schumacher at the historic circuit. Michael Schumacher would experience the thrill of victory at Monza another four times in his career – in 1998, 2000, 2003 and 2006 – and would never win the Italian Grand Prix in any car other than a Ferrari. Click here to watch the full race.